Jac and Mali are 13 years old Bichon Frise. Both neutered and spayed, vaccinated and microchipped. Their owner gave them up after moving to sheltered accommodation. They are sweet little dogs who love a fuss and a cuddle. 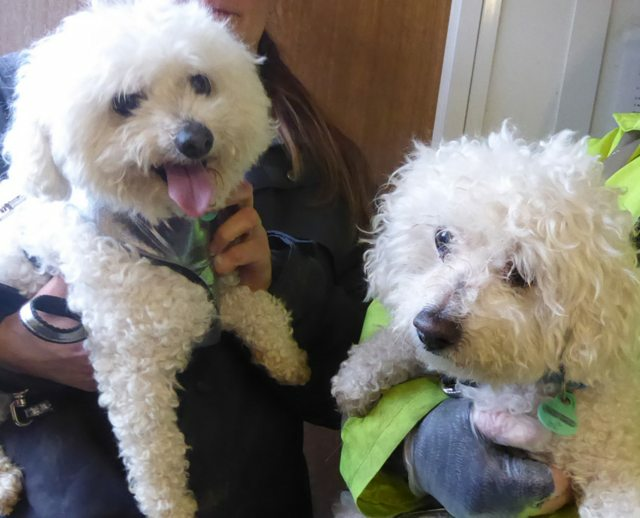 Jac is deaf but they are otherwise happy bonny little dogs who are desperately missing a home life.